Delica Beads | Miyuki Seed Beads | Czech Seed Beads - Watch your seed bead patterns come alive with our exciting selection of colors, shapes and sizes. 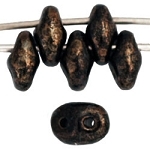 The term 'Seed Beads' refers to small beads that closely resemble the size and shape of a seed. For thousands of years, Seed Beads have been used by people throughout the world to create jewelry. Today's Seed Beads are typically made of glass, and range in size, small to large, from 15/0 to 6/0, perfect for Bead weaving by hand or by using a Beading Loom. The most popular size Seed Bead is Size 11/0. 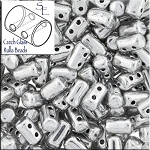 Seed beads also work well as spacer beads in almost any jewelry design. 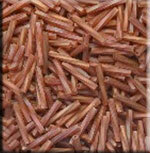 Seed Beads, such as Miyuki Rocaillle Seed Beads from Japan, are highly regarded for their uniform shape, size and finish. 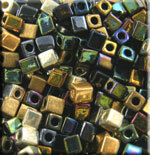 Delica beads from Miyuki are very popular for their even, cylinder shape. 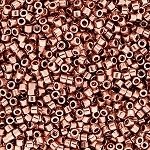 The ends of these seed beads are flat (instead of round), allowing for the seed beads to line up nice and straight when used in loom work or beadworking patterns. 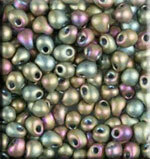 Miyuki seed beads are the world standard for high quality. Perfect for precision work, Delica beads are available in both size 11/0 and size 8/0! Don't forget the fringe beads, bugle beads, hex beads, and more! Experiment with the Miyuki Shoji triangle, twist, and square shapes for added dimension and texture to your seed bead work.